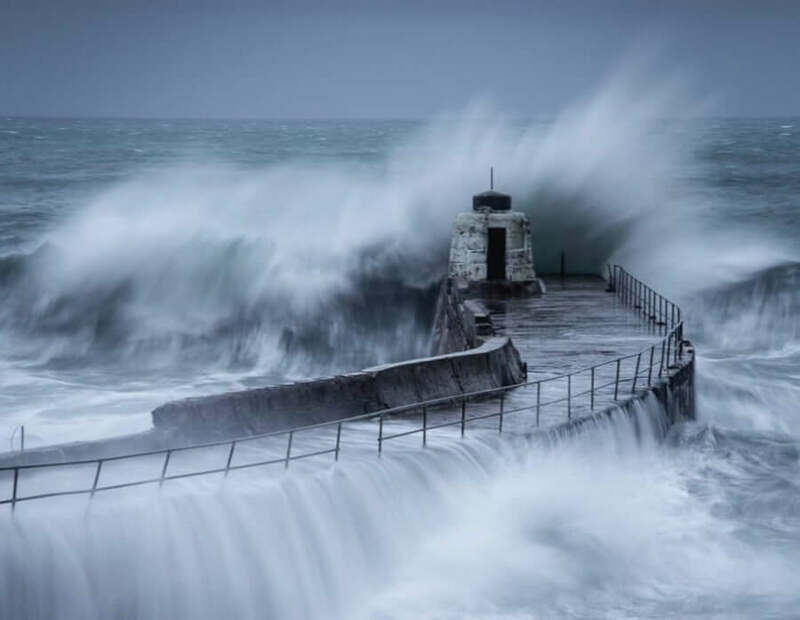 Waves hit the coast off Portreath as Storm Diana approaches Britain. 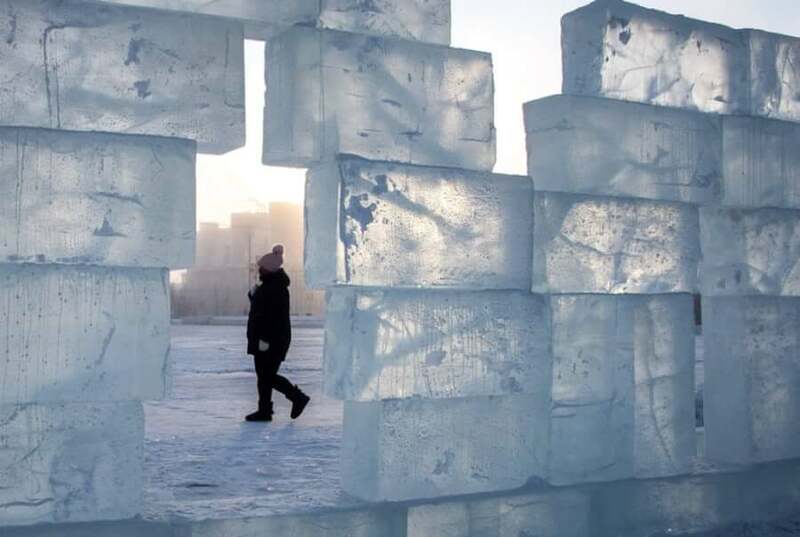 A woman walks behind an ice wall set up in the central square of the eastern Siberian town of Yakutsk, where the air temperature was about minus 39C. 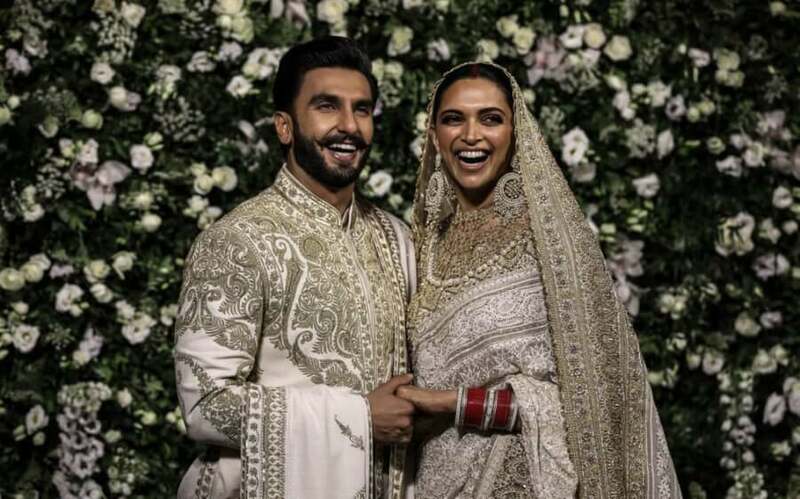 Newly wedded Bollywood actors Ranveer Singh and Deepika Padukone pose for photographers during their wedding reception in Mumbai. 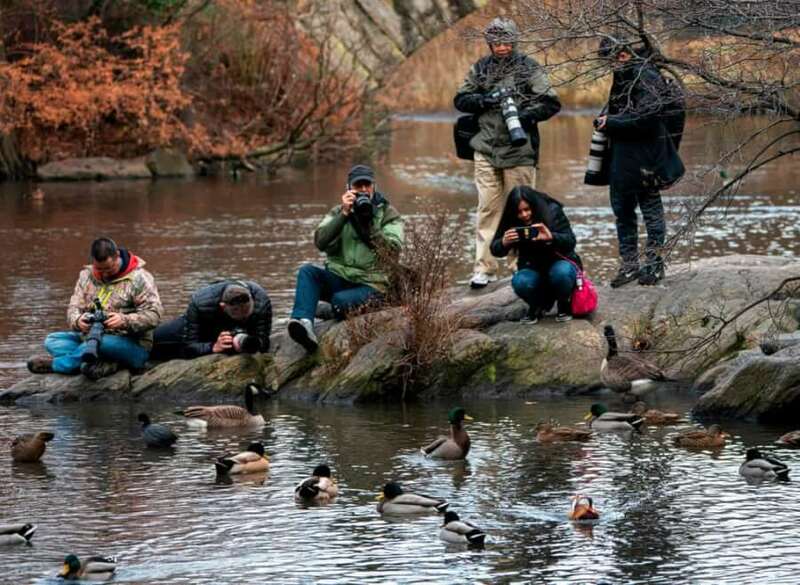 Photographers try to capture images of the now famous Mandarin Duck, nicknamed Mandarin Patinkin (lower R), makes an appearance at a pond in Central Park. The colourful duck, native to China and Japan, has been nicknamed Mandarin Patinkin by local media, after the actor/singer Mandy Patinkin. 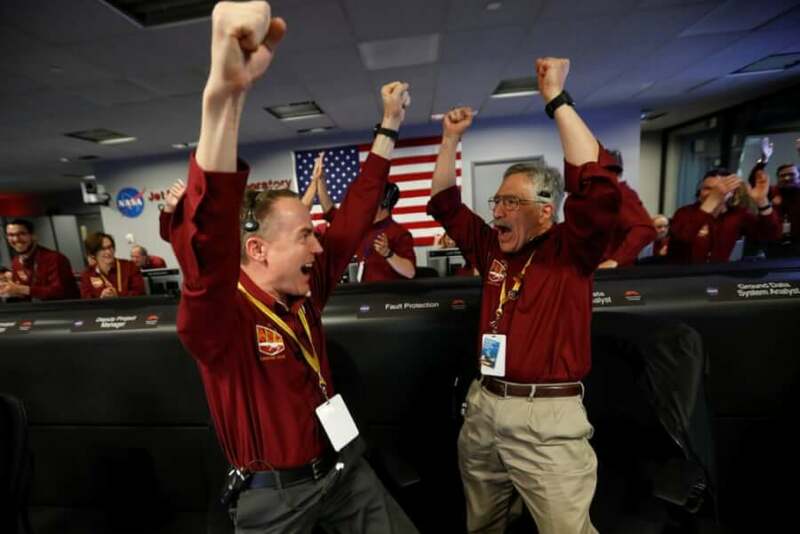 NASA engineers Kris Bruvold (L) and Sandy Krasner react in the space flight operation facility at NASA’s Jet Propulsion Laboratory (JPL) as the spaceship InSight lands on the surface of Mars after a six-month journey. 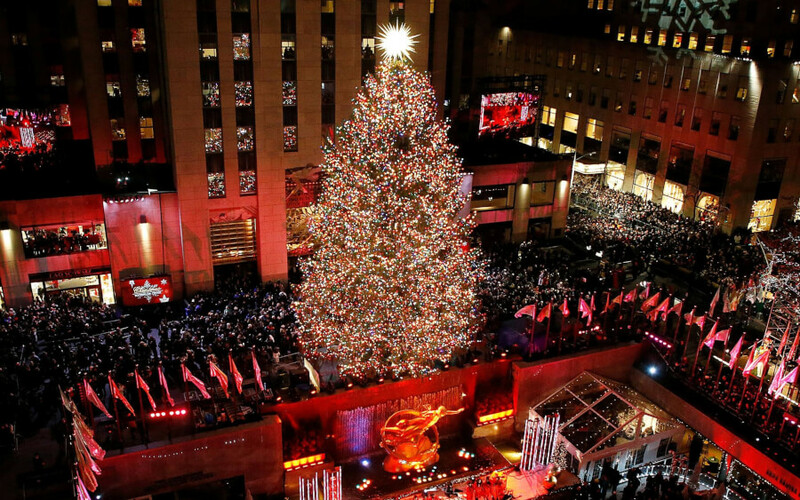 The Rockefeller Center Christmas Tree burst alive with 5 miles of LED multicolored lights and a 900-pound Swarovski crystal star in a festive extravaganza broadcast on NBC Wednesday night.